. 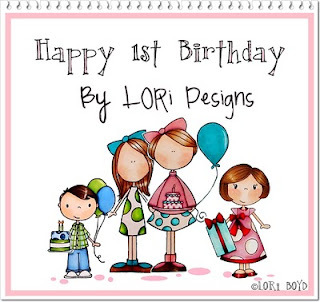 : Happy Birthday By LORi Designs! 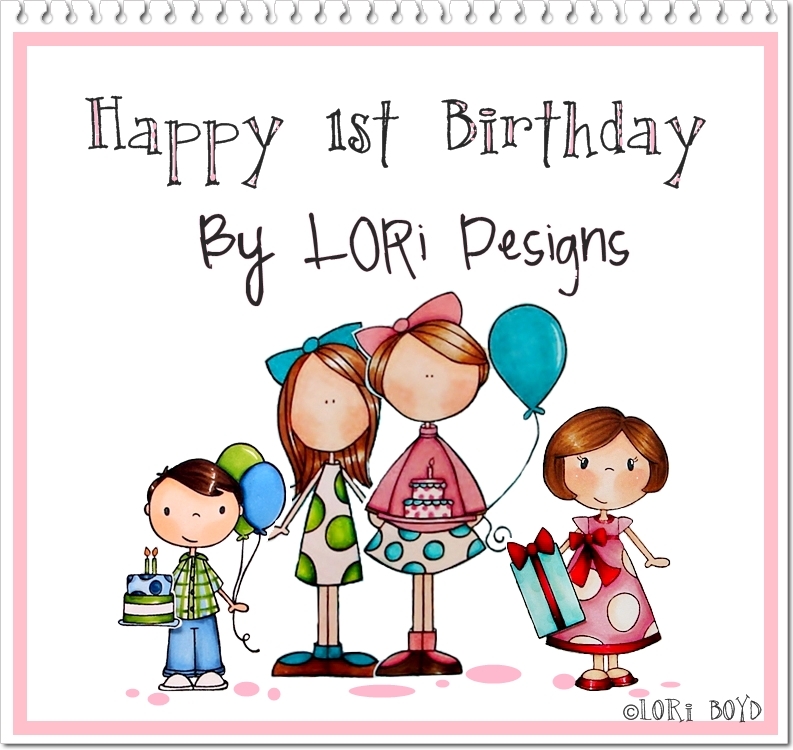 The By Lori Designs Team is celebrating BLD Digi Shop's 1st Birthday! very talented ladies on the team. I am happy for my Mom, she is so good to me and my sister and brothers and she works hard, so she can stay at home with us. Thanks Mommy for letting me be on your team and for letting me design the Bug & Roo digis! I have so much fun with you! I love it when we color together. I know you are crazy about your Copics, but I am glad you let me use them too. 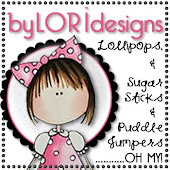 If you didn't start at the BLD Digi Blog/Shop you might want to go back and start there! There are some blog hop details about prizes and stuff that you won't want to miss! Hop along and be sure to comment on every blog for chances to win PRIZES! You have until Sunday night at 12 Midnight EST to hop and comment. Brilliant card - love how you have merged the images. Absolutely adorable! I love your coloring and the great Fall colors! Hannah this is so cute!! You definitely have your mom's talent and I am so happy to be on the team with you. Oh - I love it. Fabulous how you have teamed up 2 images and your colours are fabulous. What a fun birthday card! Great coloring and I am loving the color combo. Hannah, this is terrific! Isn't it fun that you have dipped so deep in your genetically programmed talent gene pool!!! WOW...another fabulous creation!! Hannah, you are a very talented girl...just like your Mama!! I love working with you and your images!! How adorable!!! I love how you cut out the images and popped them up - so cute! The song on your blog - Make You Feel My Love - is bringing back all sorts of happy memories. My husband played it for me when he proposed (the Joan Osborne version). Aww... sniff..
Beautiful card - love it!! So lovely! I love the images against the classic elegant backdrop -- fabulous work! TFS! Great card! you are so talented with your copics!!!! Such a sweet birthday card, it is so cute! How gorgeous Hannah! I love how you've cut them out! WOW, love your card Hannah!! Beautiful coloring and yummy ribbon bow!! Congrats to your Mom on her 1 year milestone!! sweet card made by a sweet girl! It's always more fun to party, and color, with friends!! What a fabby card you created! Wow, what a talent your are! Love your card. love your card it is awesome that you craft with your mom..some of my fav time is when my daughter crafts with me..
Love your card Hannah!! Your are so talented!!! Many blessings!! Such a cute card. TFS. Hello beautiful girl! WoW! What a fabulous card! Such talent! Love it!! You are such a dear and very lucky to have the same wonderful creative skills and that your Mom does!! Bless you all and I hope you'll have many more Birthday to celebrate!! Wow super duper talented lady! Love your awesome card and your coloring. Very cute card, your coloring is lovely! Thanks for sharing! oh I love those little girls. So cute! Beautiful card, lovely coloring on your images. So wonderful to have Lori as your mom its a blessing! hugs, Frances. Your talent is just amazing! WOW, your entire family is so talented, what a blessing. 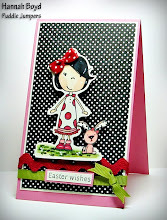 I love your card and your designs, thanks for sharing your talents. You're such a sweet, talented girl. I'm sure your Mom is very proud to have you as a daughter. :) LOVE your card. It's gorgeous! Super cute card, Hannah! Your coloring is fantastic, I love my Copics, too! What an adorable card, Hannah! You are very talented. Thanks for sharing. These images are so cute! Love your card! totally adorable! I love it! Super cute card - you all are very talented! Sweet card! I love your coloring! Oh my goodness!! You are one talented little lady!! Your card is amazing and I am loving the rest of your blog too. Unbelievable coloring skills!! Happy blogaversary to your Mom. She IS a wonderful person and looks like you are following in her footsteps very well. Thanks for the inspiring blog hop! Wow Hannah! You do such a wonderful job with your images! Congratulations on having your own line! Hannah aren't you such the cutest ray of sunshine. Yep, you take right after your Mom. Fabulous card honey. Such a cute card. 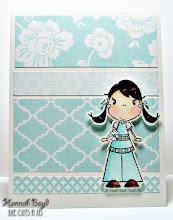 Love how you combined the stamps and your coloring is fabulous! Hannah Bug I love the way you layered up your images. You are so talented! Keep up your amazing work...the sky is the limit for you! Hannah, I love your card! It's scary to me how well you color, girlie - you'll be the Copic Queen by the time you're old like me, LOL!